Women have a tendency to be on the anemic side, that is, have an iron deficiency.. I have lived with this heath issue most of my life. I hate taking supplements and prefer to maintain my health with the right diet. Mom would usually make a carrot beetroot soup for me on days when my iron was low. 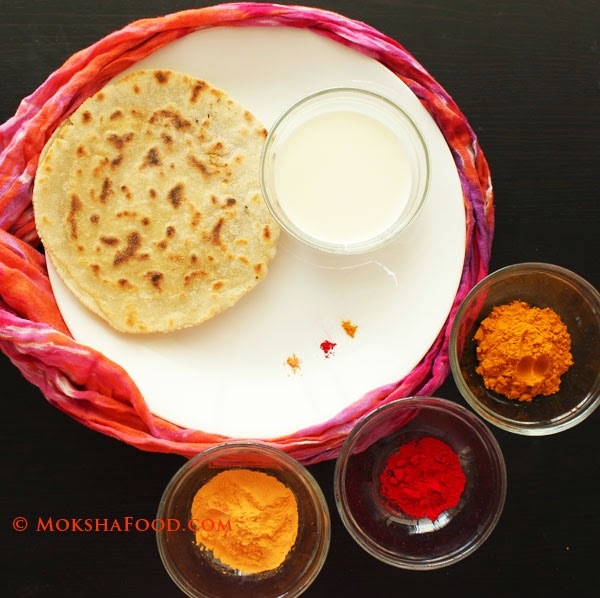 She would boil carrots and beetroot, puree them and flavor it up with salt, pepper and roasted cumin pdr. You an also add tomatoes for a nice tang. This soup instantly boost your levels if taken regularly for a few days. I love this soup but am always on the lookout for recipes with beetroot. I love the intense hue of beetroots but was never too fond of its raw taste. I usually boil beetroots and use it to make stir-fries or grate them and add it to yogurts with some chat masala to make beetroot raita. I recently discovered that roasting beets mellows its sharpness and makes it more palatable. 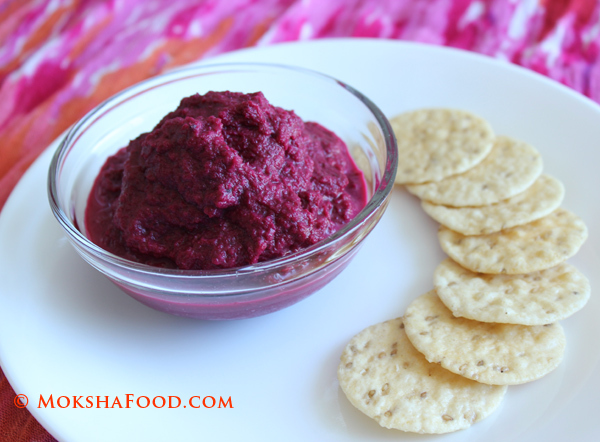 I made this beetroot dip with roasted garlic and it taste awesome. You can use it to spread or as a dip with crackers. Wash the beets well. Don't peel them. Just chop of the ends. In a square sheet of foil, place the beets. Pour some olive oil on them and wrap the foil to make a nice tight packet. Slice the entire garlic bulb at the base just enough to expose some of the inner garlic. Place on another sheet of foil and pour some olive oil . Wrap around to make another packet. Preheat the oven to 400 F and bake both of them for about 30 mins. I let them remain in the oven till it cools down. Once cooled, peel the beets and chop them roughly. The roasted garlic will be soft and fragrant. This recipe uses 3-4 cloves. 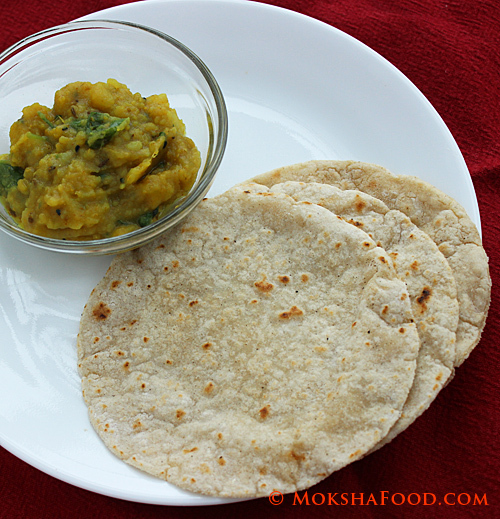 The rest can be used as a spread by itself or drop in your curries for added flavor. In a blender, pulse the chopped beets, roasted garlic, yogurt, 1 tbsp. of olive oil, salt and pepper to form a nice smooth paste. 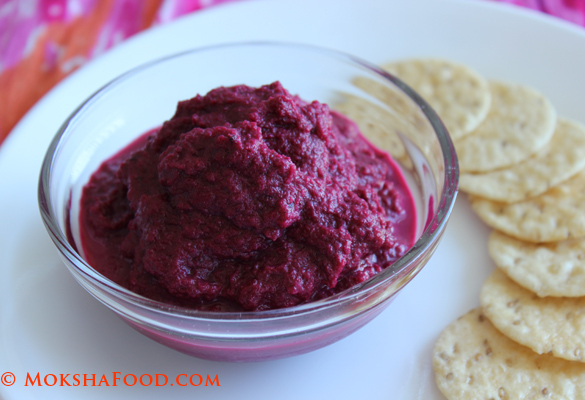 Roasted beet and garlic dip is ready. 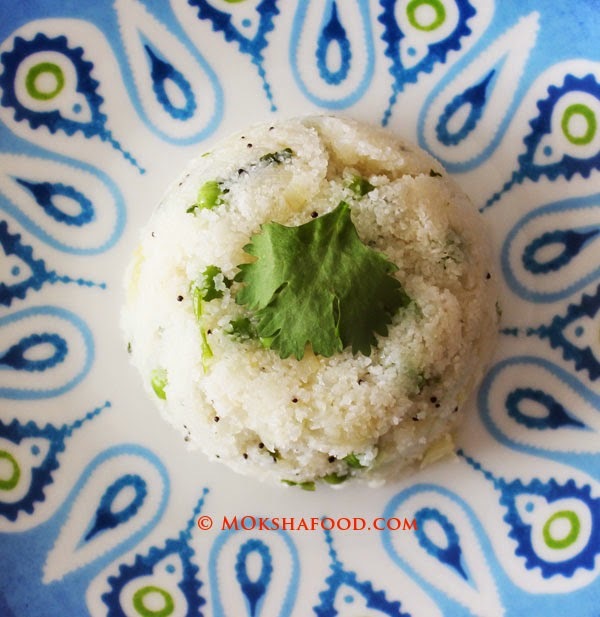 Enjoyed this healthy snack today with rice sesame crackers. Swati, Looks great! Glad you made it. I love it. Thanks Anna..its one of my fav recipes now!